Build a small, portable rocket launcher that shoots Nerf footballs and paintballs! This LAW (Light Anti-Armor Weapon) blasts an awesome payload! WARNING: Assembly and use of this project requires adult supervision. CO2 cartridges contain compressed air. Misuse or careless use may cause serious injury or death. Read all warnings on the CO2 cartridge packaging. Never point this launcher at any living thing. Do not look into the barrel of the launcher when a C02 cartridge is loaded in the adapter. Always wear eye protection when assembling and using the launcher. Assembly and use of this project is at your own risk. 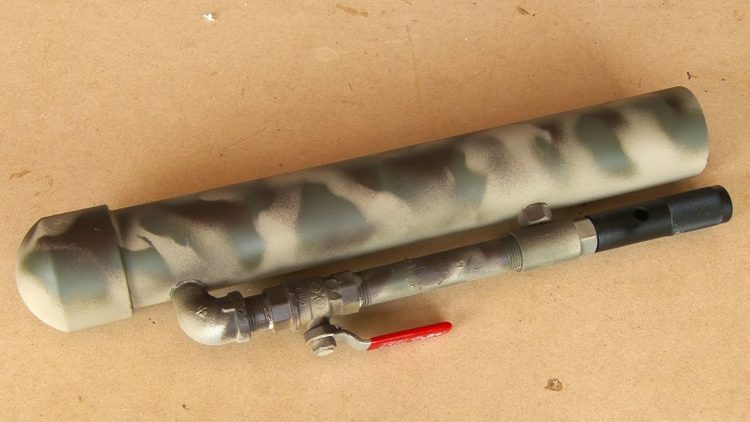 Thanks to Nick at http://www.houndsofhellpaintball.com for the original rocket launcher design.